INPUT : The default chain is used for packets addressed to the system. OUTPUT : The default chain generating from system. FORWARD : The default chains is used when packets send through another interface. RH-Firewall-1-INPUT : The user-defined custom chain. The target ACCEPT means allow packet. The target REJECT means to drop the packet and send an error message to remote host. The target DROP means drop the packet and do not send an error message to remote host or sending host. 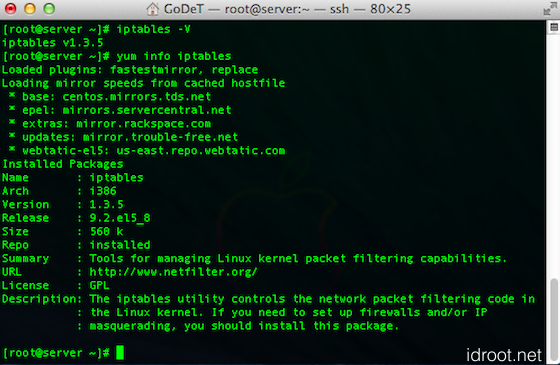 Related Posts of "How To Configuration Iptables Firewall on CentOS"